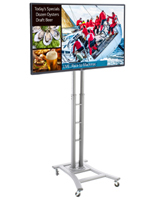 This 55" digital signage with stand offer a 1080p LCD monitor with a 120Hz refresh rate. 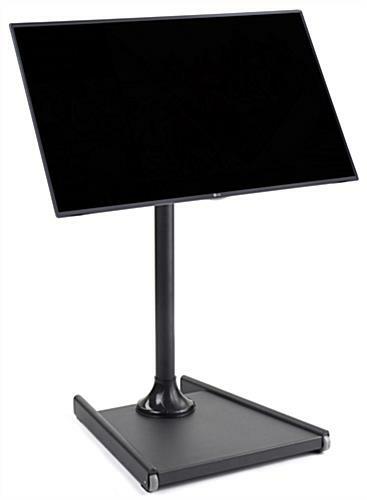 Each monitor comes with an integrated media player for playing images, videos and live television from USB devices. 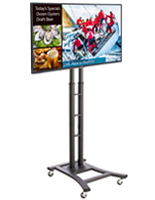 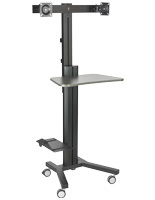 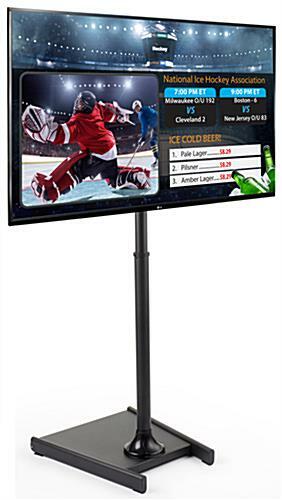 In addition, the digital signage with stand feature an adjustable height design that ranges between 42" and 70.3" tall. 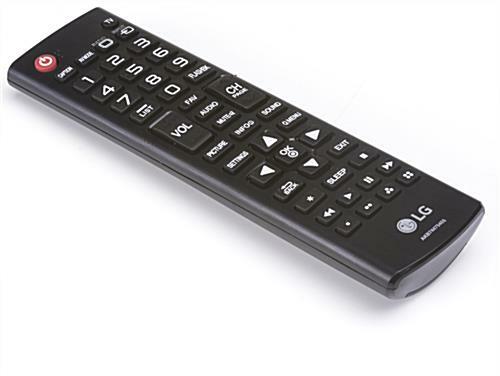 While the LCD screens can play media from USB drives, they also feauter component, composite, HDMI and RGB ports for other devices. 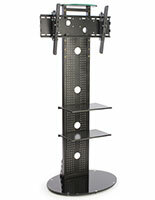 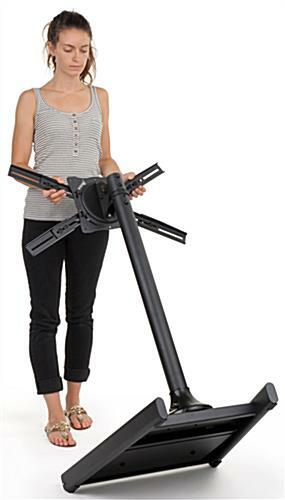 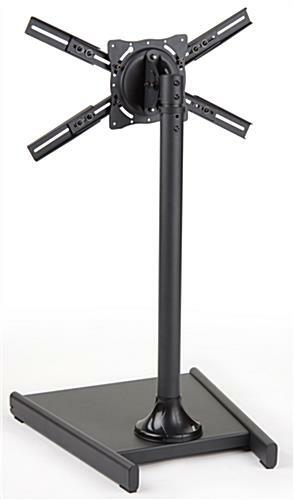 Another feature of the digital signage holder is its tilting bracket and tilt-and-roll design for easy transportation. 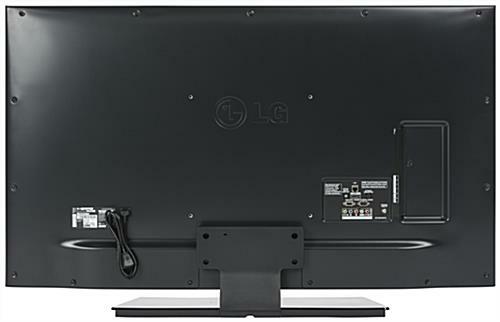 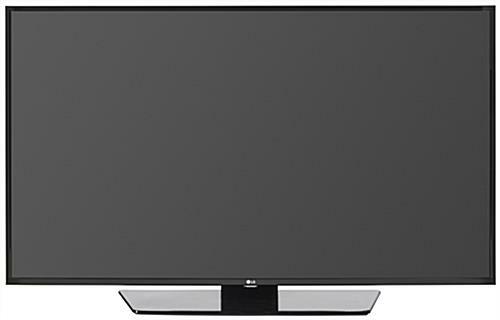 The TVs with an adjustable height display can also control up to 50 other devices via LAN connectivity.